Abstract: Silverlight 5, the latest version of Microsoft's browser plug-in comes with significant improvements with respect to Controls, Text, Dialog, Performance and data-binding. In this article, we will take an overview of some of the new Silverlight 5 features. Silverlight 5, the latest version of Microsoft's browser plug-in was made available in December 2011. I have been working on it ever since and also consulting my clients about the new changes in Silverlight 5 with respect to Controls, Text, Dialog and of course about data-binding. 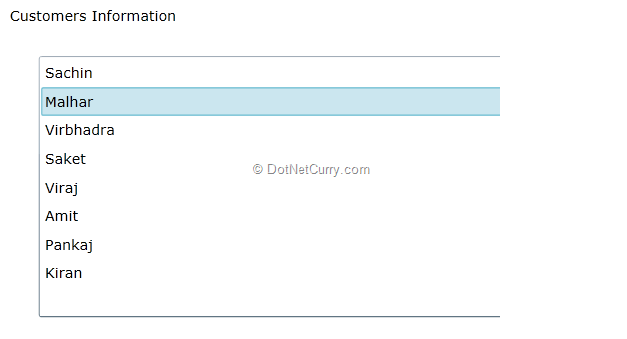 I thought of discussing some of the new Silverlight 5 features with you with the help of some examples. In this article, I am going to walk you through some New Controls, Text Control Changes, and Databinding improvements. I have explained some simple but important features that can be used for developing UI and for any Silverlight 5 based LOB applications. PivotViewerStringProperty : Used to bind string data from source. 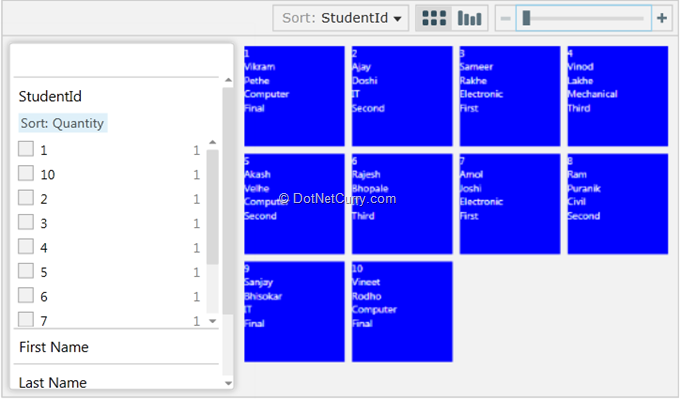 PivotViewerItemTemplate: Provides a UI element structure for define template for data display. I am using Visual Studio 2011 beta for this demo. 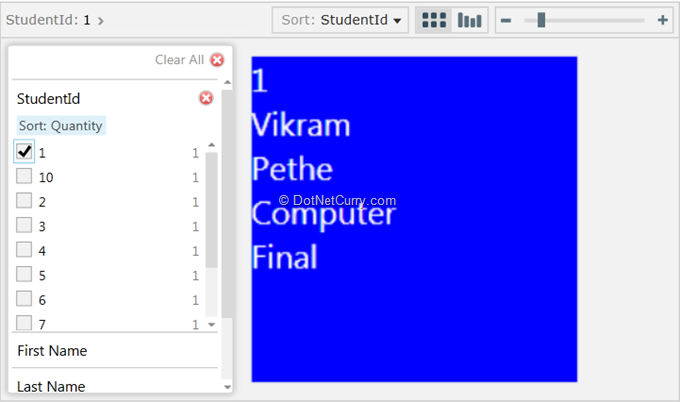 Using the PivotViewer Control, the end-user has more control on filtering data from the source collection. Controls like the ListBox, ComboBox are more frequently used to display collection data. Now if the end-user wants to search any specific matching date element from any of these ItemsControls, he/she needs to scroll down all the way which is time consuming and does not provide a good user experience. In Silverlight 5, an attached property ‘TextPath’ is provided which you can set against any property of the source collection. Now the end-user can click on any data element inside the ListBox and by using the keyboard keys, the data element matching to the specific character can be found. 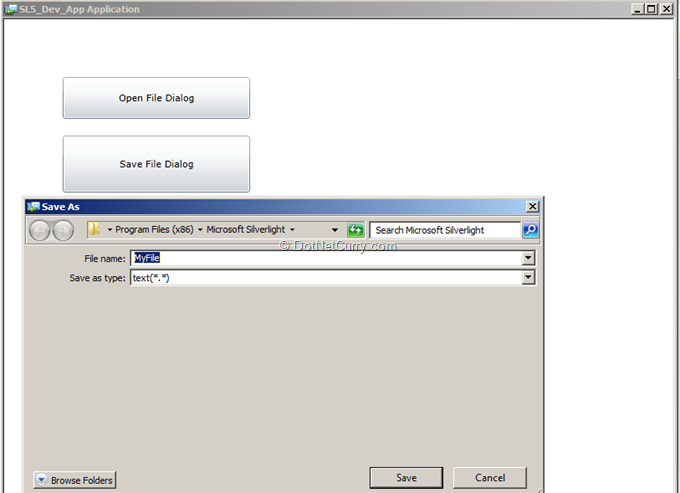 Silverlight applications allow us to create a file and save it on local disk. It also allows us to open the file from the local store. 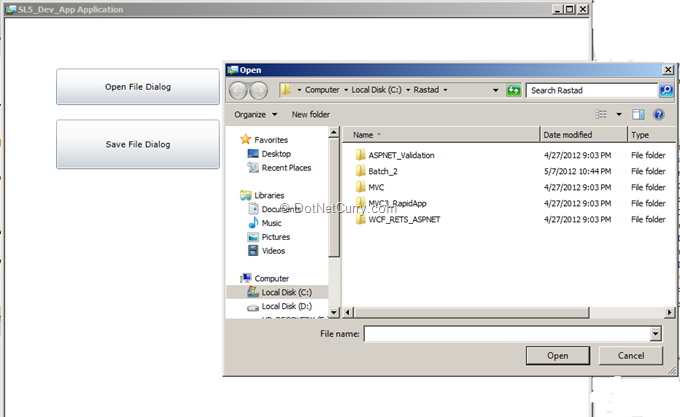 To do this, we have been provided with ‘openFileDialog’ and ‘SaveFileDialog’ classes. 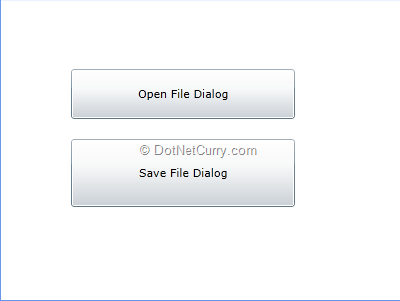 OpenFIleDialog by default opens the documents and settings (user specific folder) whereas SaveFileDialog allows us to save file of any extension. In Silverlight 5, OpenFileDialog has introduced a new property called ‘InitialDictionary’ using which you can specify a default path. Similarly by setting the ‘DefaultFileName’ property of the SaveFileDialog, you can specify a default file name that gets created when user wants to save data locally from the Silverlight application. It’s a simple feature, but very useful! Step 2: Run the application Out-of-Browser. 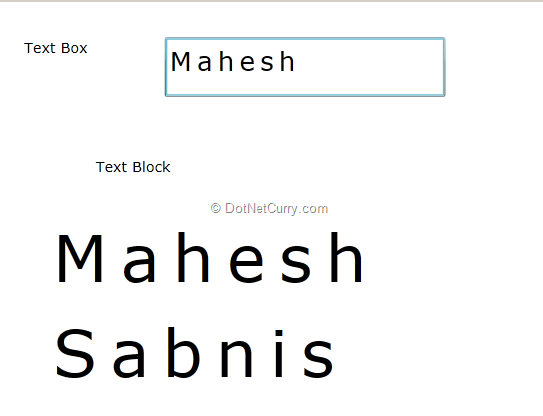 In Silverlight 5, controls like TextBox and TextBlock provide the ‘CharacterSpacing’ feature. This provides a mechanism to increase and/or decrease characters spacing in the entered text. The distance between the characters is calculated based upon 1000th of the font size. E.g. if the FontSize is 50 pixels and CharacterSpecing is set to 200, the distance between two characters will be (50*200/1000=10 pixels). Microsoft did not implement Menu control in the earlier versions. Is it there in the current version ? 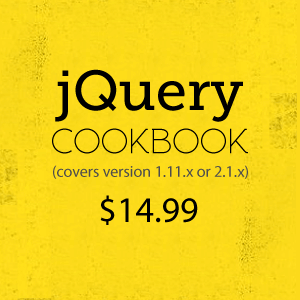 i am totally new in silverlight .please help me .